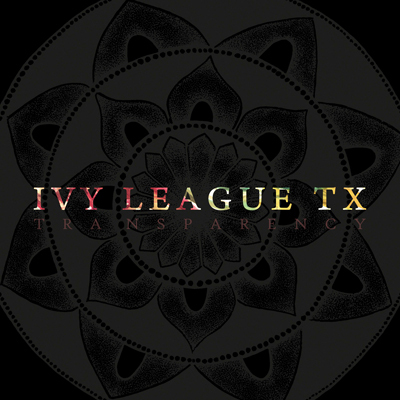 Ivy League is a three-piece punk band from Midland, TX., currently signed to 6131 Records. The band had two EPs out prior to their 2013 debut full length, Transparency. I’ve always been a fan of the energy this band has. While a lot of bands in the same sound circle as Ivy League are dropping their punk roots and heading down a more grungy path, these guys keep it fast and aggressive. Going into Transparency, I was expecting the band to keep their energy, but progress immensely with it and I was extremely satisfied with the outcome. The record starts with “Canopy,” instantly displaying some different vocals from the band. By the first 15 seconds, you can tell this band has grown a lot, yet stayed true to their prior sound. The album opener is littered with those in-your-face lyrical moments Ivy League fans adore. “History Repeats” starts off a little slower with a riff and bassline that seem to be playing off each other. Shortly after, those belting vocals come in and you find yourself bobbing your head along to the melodies. “Void” is a bit different for the band. The instrumental aspect seems to be a bit more experimental for them, and fortunately it works extremely well. Have no fear, though, the song has a nice punk beat section. I found myself really enjoying the harmonies on this track, too. “Transparency” has that classic Ivy League feel, but on a much larger scale. The way the guitars build up to the first verse is really enjoyable. Some parts of the song remind me of punk in the late 90s and early 2000s. I noticed the vocalist is playing around a lot more with vocal melodies, and although new, he seems very relaxed and comfortable with them. “Coalesce” simply feels loud. It’s fast, melodic and catchy. The way the vocalist goes in and out of yelling is a great touch. “Egress,” has an awesome ambient riff about half way through, is the record’s instrumental track. It’s very hard not to bob your head along with this one. “Losing Sleep” feels a bit darker than anything Ivy League has released, especially the guitars in the beginning. The track also features some of the most aggressive vocals on the record, in my opinion. “Watch You Suffer” is all over the place, but in the best way. The way the song weaves in and out of melody and aggression is fantastic. The transitions are wonderful. The instantly fast “Daily Pt. 2” is the only song on the record I could have seen fitting onto one of the EPs. The part towards the end is a bit different, though, and the vocal melodies used are extremely catchy. “All My Skeletons” seems to be the punk anthem of the record. It also features some absolutely insane guest vocals from letlive.’s Jason Butler. Never in my mind would I have pictured this pair up working, but man, was I wrong. It’s one of the most powerful parts on Transparency. Closing out the album is “My Mercenary.” It’s fast and loud, but most of all, it sounds huge. When listening to the album, it feels that all the remaining energy left in the band from the record is poured out into this last track. Once kids jam the record for a while, I can see this song being a great set closer. Overall, there’s nothing on this record that will throw fans off guard too much. A lot of the times when bands stick with the same sound, that’s literally all they do; they don’t grow with it and they don’t attempt to progress. This is not the case with Ivy League. Transparency is Ivy League on a much bigger, louder scale. I can see this record doing great things for this band because everything about it is extremely enjoyable. The production is beautiful, the lyrics are relatable, the vocals are raw and passionate and the instrumentals are incredible. Ivy League definitely has a bright future ahead of them. Be sure to pick up Transparency through 6131 Records, and if you haven’t yet, check out Ivy League and bang your head.